This property is 1 minute walk from the beach. Anemone Seaside Traditional Homes is set in Istron, 39 km from Hersonissos. 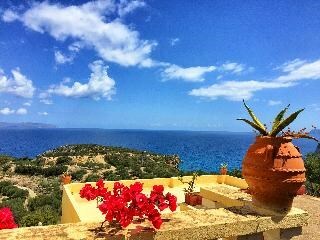 Agios Nikolaos is 8 km from the property. Free WiFi is provided throughout the property.All units include a seating area. Some units feature a terrace and/or balcony with sea or mountain views. An oven and coffee machine are also featured. Some units also have a kitchen, fitted with a fridge. Free private parking is also available at this apartment. Towels and bed linen are offered.Anemone Seaside Traditional Homes also includes a sun terrace.Malia is 32 km from Anemone Seaside Traditional Homes, while Elounda is 15 km away. The nearest airport is Heraklion International Airport, 62 km from Anemone Seaside Traditional Homes.This property also has one of the best-rated locations in Istron! Guests are happier about it compared to other properties in the area.